We primarily offer an outsourcing option for steel detailers in the UK and Australia. Our Thailand office can detail your project at a fraction of the cost you would normally pay for the same service in your home country. 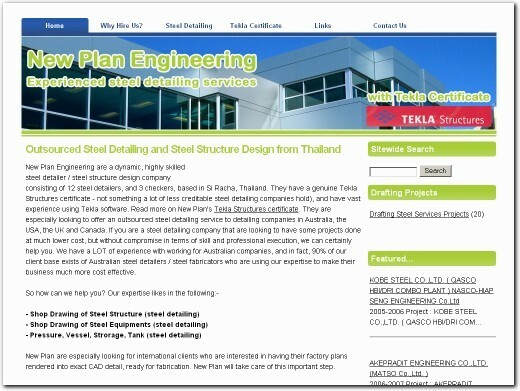 Thailand-based company offering a range of steel detailing and drafting services. Website features details of their services, portfolio of work, and full contact details (at footer of each page).